Vintage Table Approx: 50-60 years. 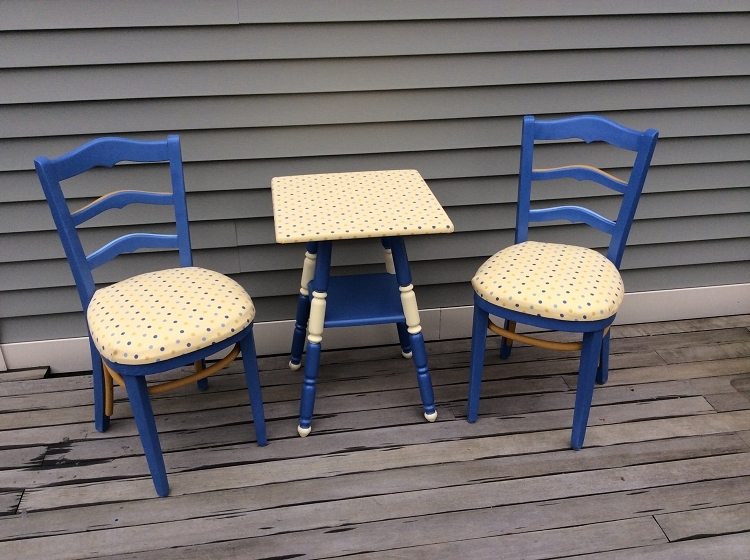 This table matches the pair of vintage chairs featuring periwinkle blue base color with pastel gold cover. The fabric has shades of blue dots in a poke-a-dot pattern. .Price:$75.00 plus S&H. Local pickup by arrangement.